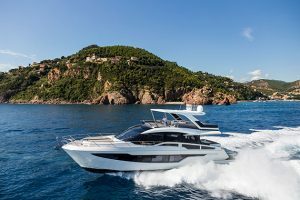 The medium of video is probably the best way to experience the Monte Carlo 6 (apart from actually being on it, obviously). 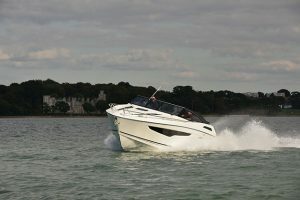 Monte Carlo has history with eye catching design, as is obvious from the Monte Carlo 4 and Monte Carlo 5, but so littered is the latest model with funky gadgets and gorgeous details that video really is the only way to appreciate exactly what the MC6 can do. 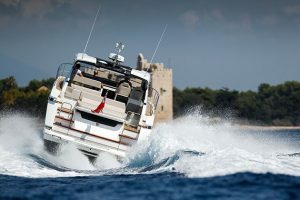 It has electric sunpads that rise majestically from the totally flat foredeck, sumptuous pop-up tube lights in the deck to give you a warm glow in the evening and various other tricks that make you coo. 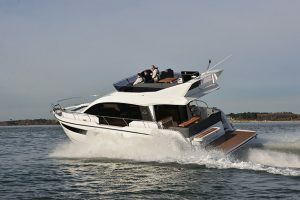 Of course, there is far more to the Monte Carlo 6 than a few gizmos, namely three excellent cabins including a full-beam master flanked by the trademark Monte Carlo round hull window. 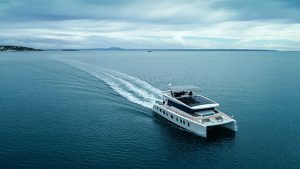 The aft galley layout is something the Monte Carlo firmly believes in and the 6 is no different apart from this time you get high quality doors that fold out to the edges of the wheelhouse to give you as much space as possible. 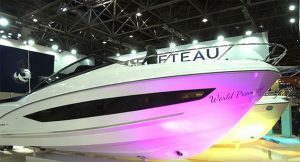 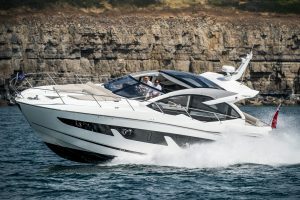 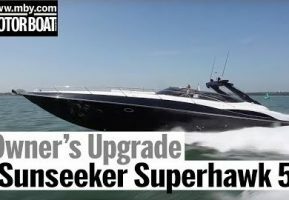 As the boat that links the Monte Carlo range to the Monte Carlo Yachts line it has a more grown-up feel about it, too, like the rock solid (optional) hardtop and expensive materials liberally splashed around the interior. 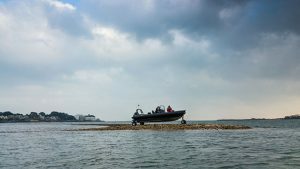 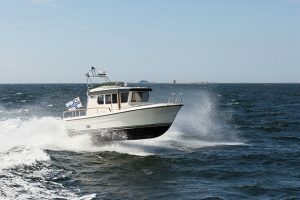 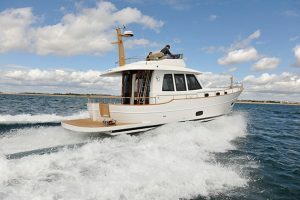 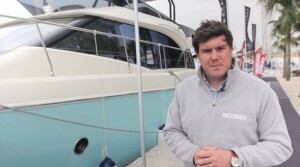 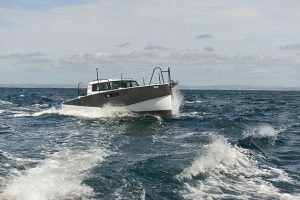 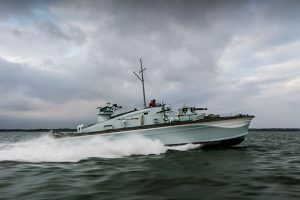 The final piece of intrigue comes in the decision to use relatively small Cummins 600hp diesels on Zeus pod to shove this 19-tonne cruiser through the water. 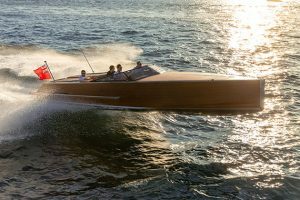 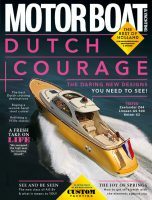 You can read about how the Monte Carlo 6 performs in our eight-page boat test included in the July 2015 issue of Motor Boat & Yachting, out 4 June.